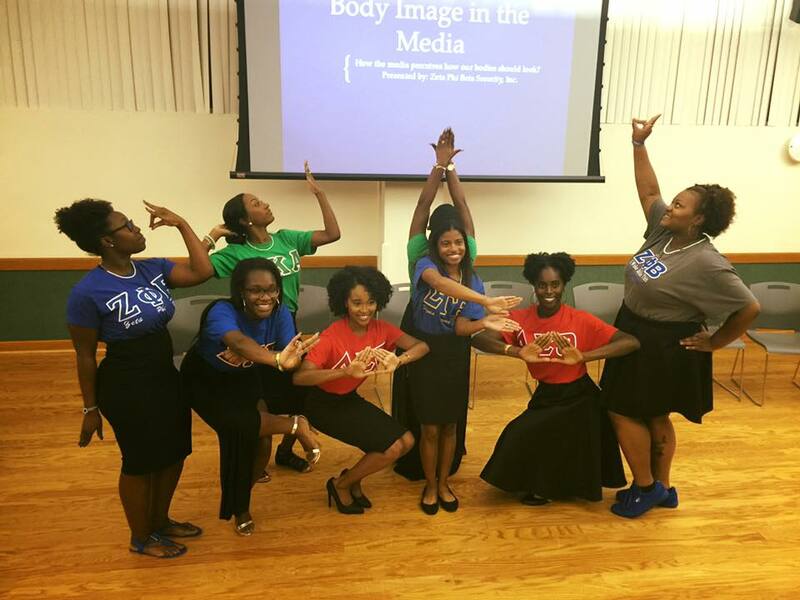 On Tuesday, August 30, 2016, the sororities of the Divine Nine at Kennesaw State University held its Real Talk, Girl Talk event for NPHC week. The purpose of this event was to bring women together for an open discussion on an array of co-related topics to ultimately empower women while showcasing Greek unity. The Theta Rho chapter’s representatives, Jasmin Douglas and Bryana Pettus, focused their portion of the discussion on “Body Image in the Media.” By the end of the discussion all the women walked away with a new sense of self-love.